Residencial La Lluca is located within walking distance to the Javea golf club, this 9 hole club has been established for many years, divided by the main Javea to Benitachell road, the course is divided into two halves, the club has its own restaurant and golf pro shop, none members are welcome to play, urbanisation La Lluca was first owned by a private family who built their own family home, because of the quality and large room sizes other locals in Javea wanted houses and villas built to the same size and standard, most plots on La lluca for sale have views of the Montgo mountain some even have a view of the Javea port area, good size plot mainly flat and level were one of the main requirements when purchasing a building plot. there are several restaurants within walking distance from the residential area, one of them being the 2 Michelin star restaurant called Bon Amb another equally popular restaurant which is also within walking distance is called La Masena This residencial area of La Lluca is ideally located halfway between Javea and Benitachell to Moraira, Benitachell has its own beautiful beach called Cumbre del Sol. 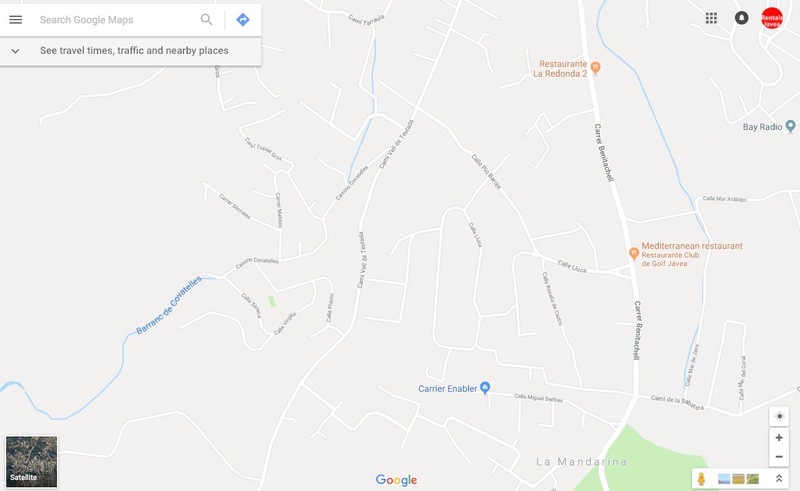 there is a main supermarket within a 3 minute drive called Masymas Benitachel has its own Chemist, bank and a small selection of local shops including a hardware shop.